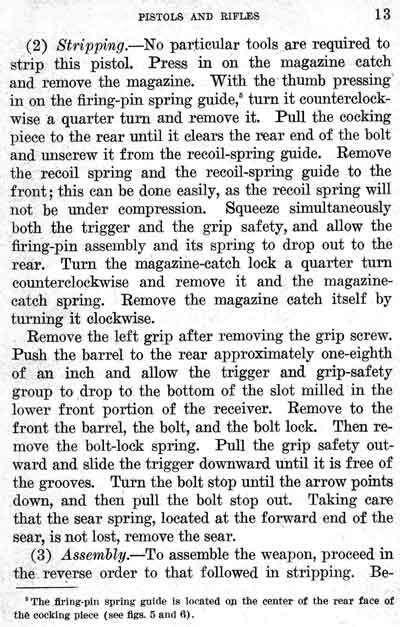 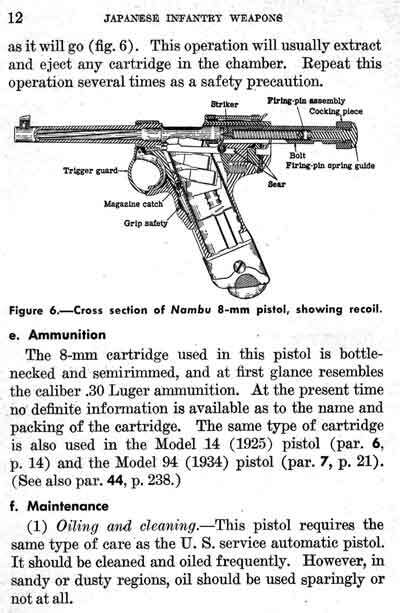 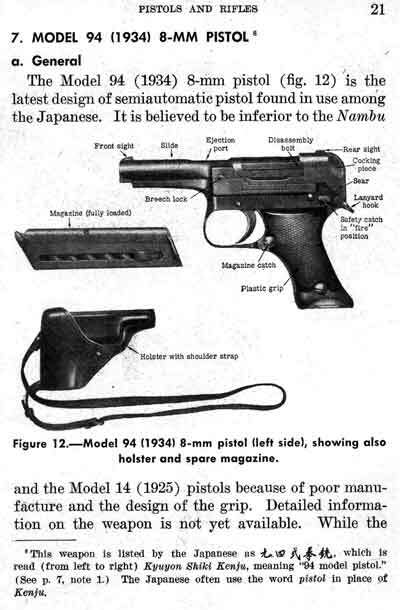 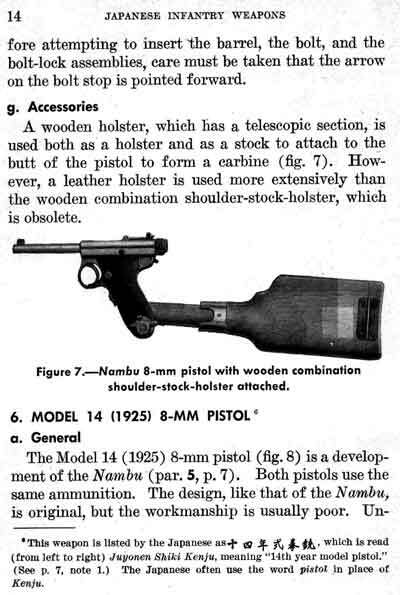 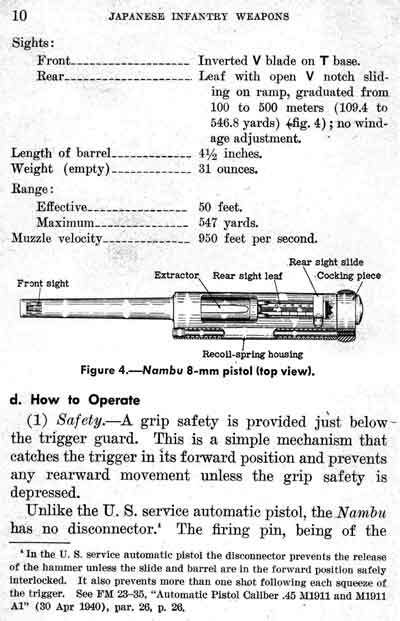 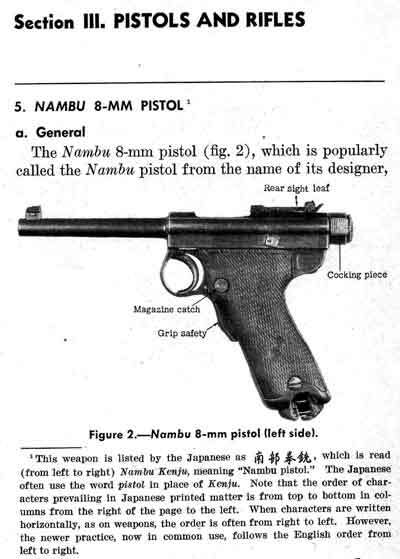 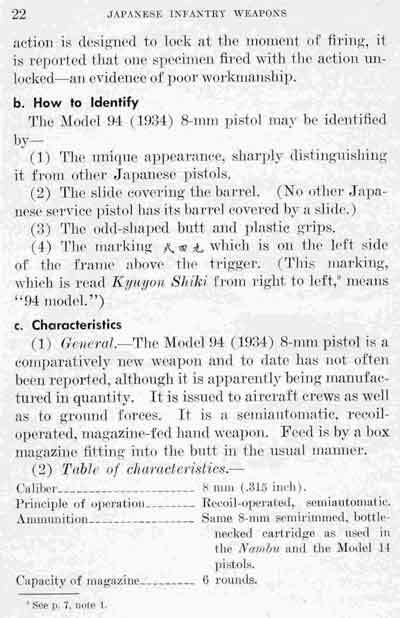 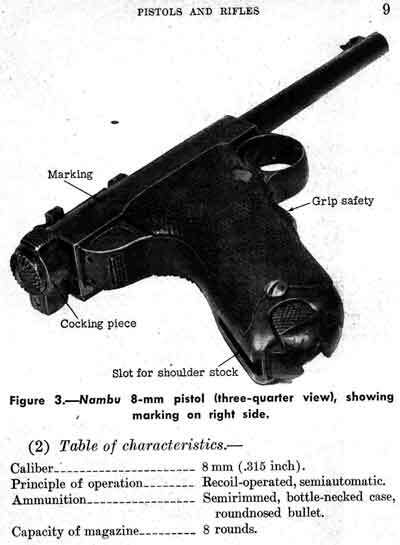 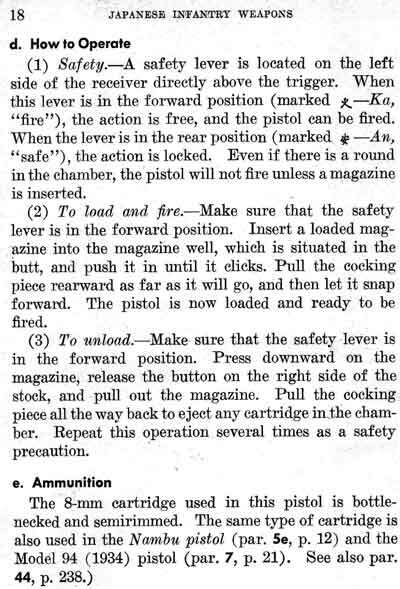 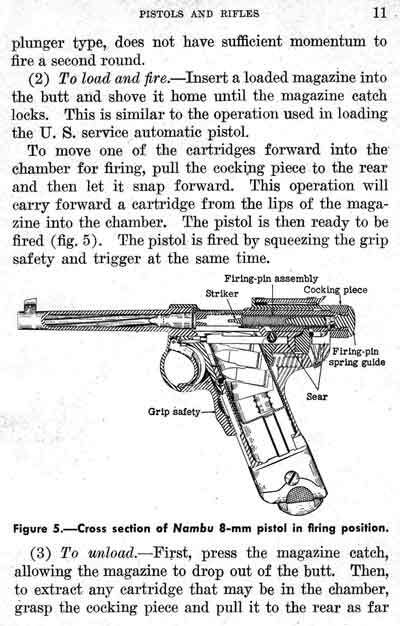 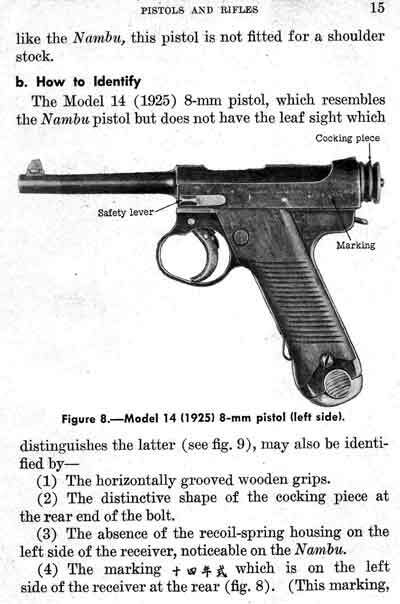 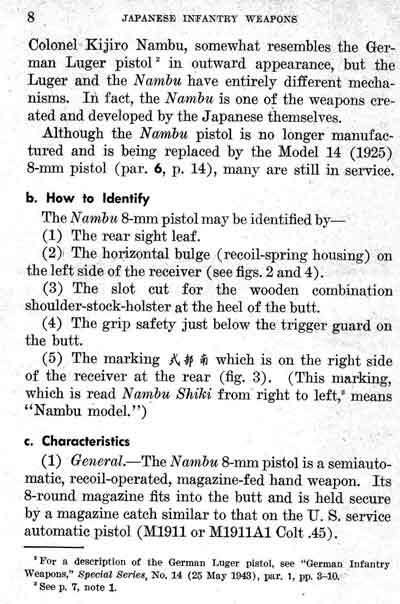 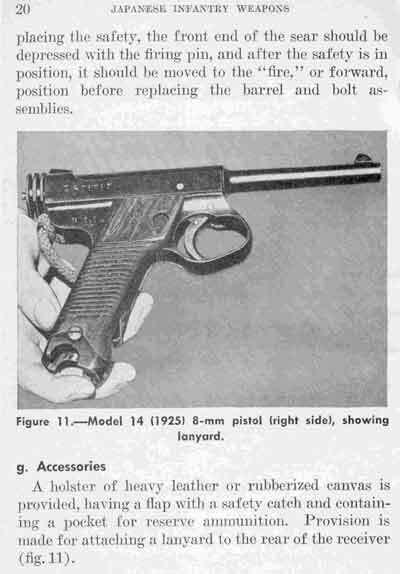 This is an extract from the US War Department, Military Intelligence Division’s December 31, 1943 publication, Special Series Number 19, entitled Japanese Infantry Weapons. 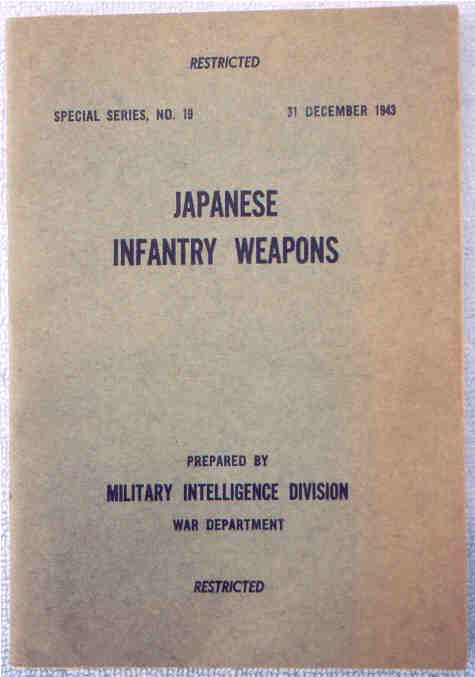 The cover is shown above. 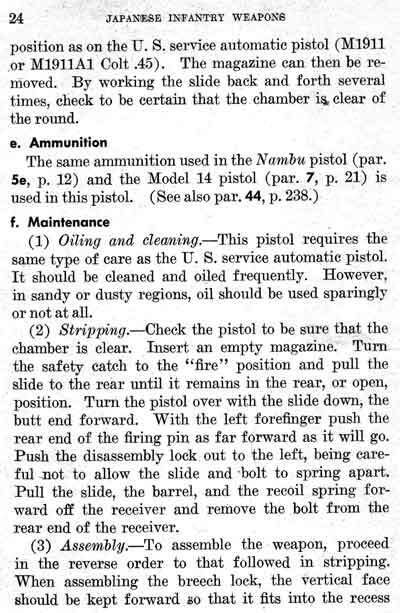 Pages 7-25 refer to handguns and shown below. 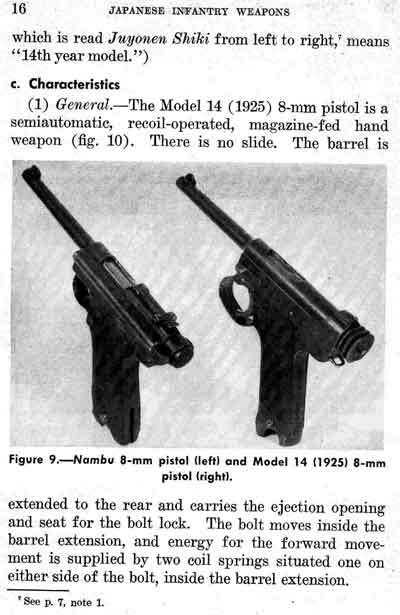 Even after reduction through Photoshop these files are big. 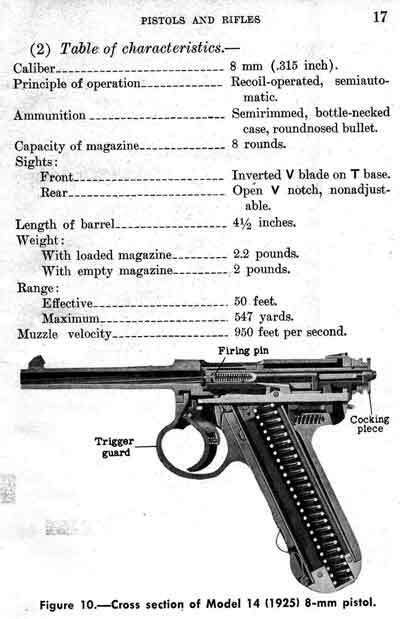 Each one is about 30-50k. 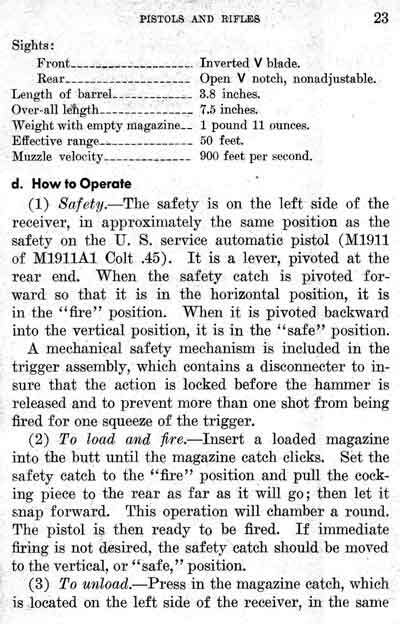 Last updated: January 24, 2004. 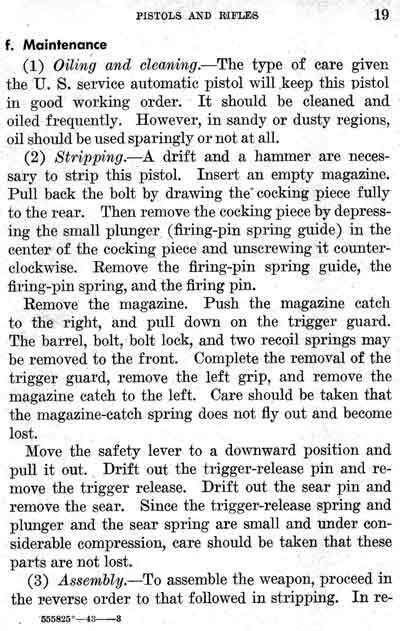 All contents are copyright Teri unless otherwise specified and may not be used elsewhere in any form without prior permission.